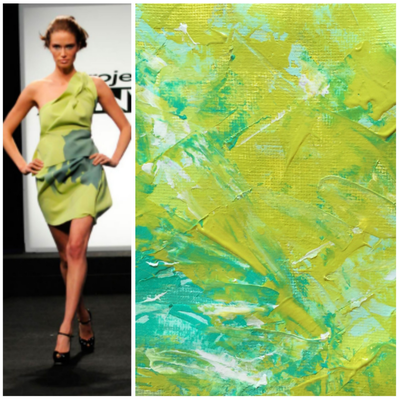 Twice a year I host a painting challenge called Thirty Paintings in Thirty Days. 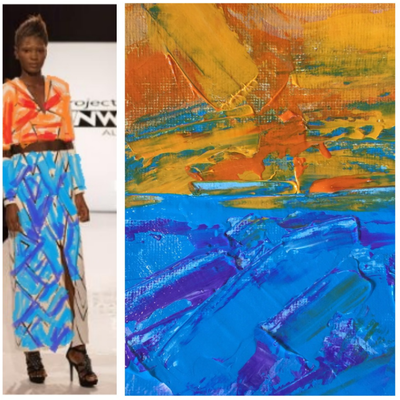 Over 1,000 artists from nearly forty countries participate in the challenge. 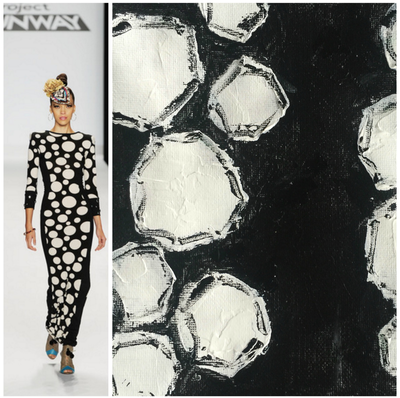 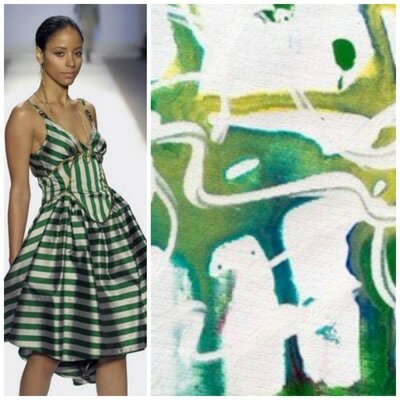 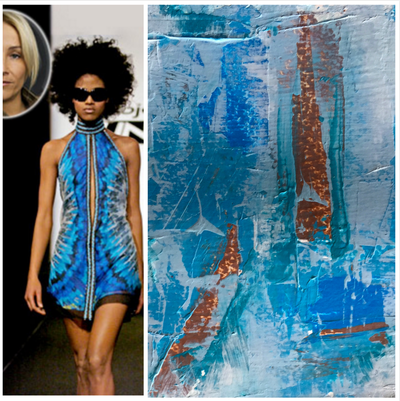 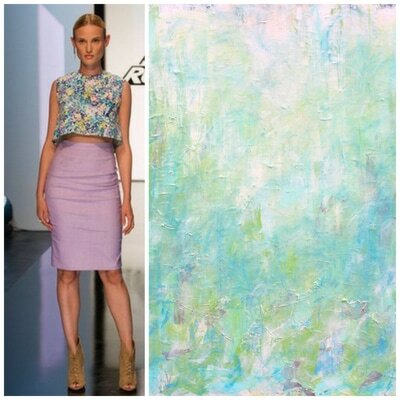 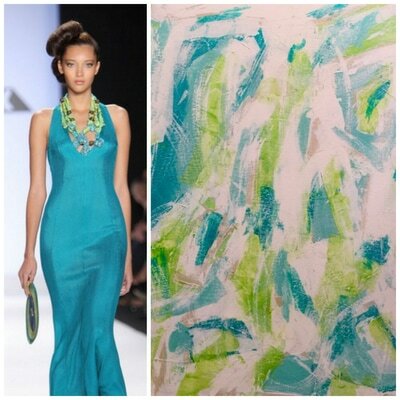 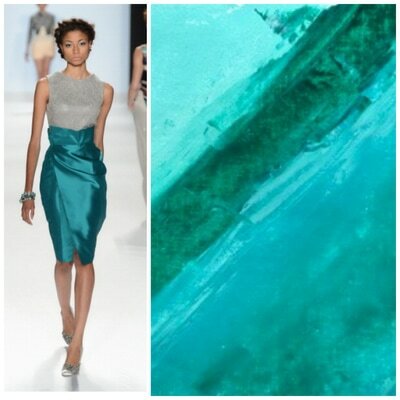 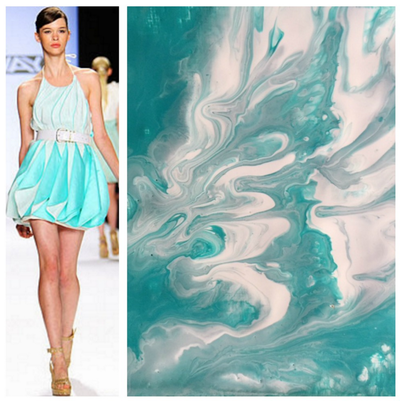 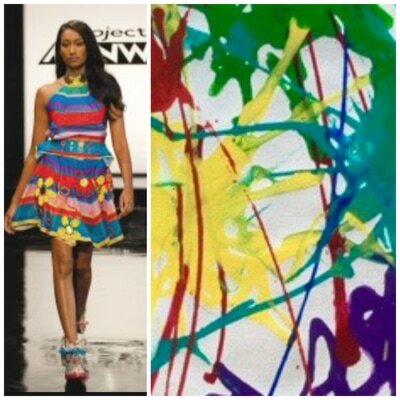 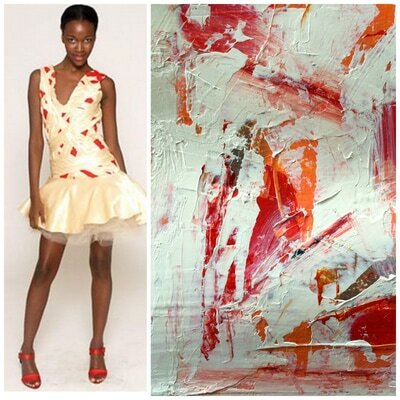 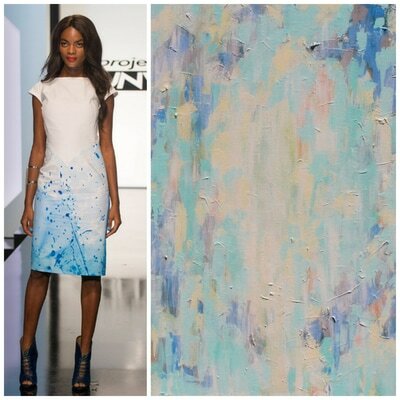 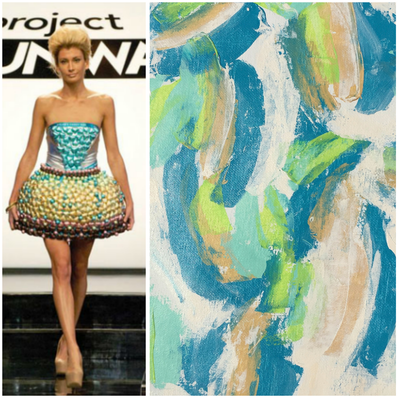 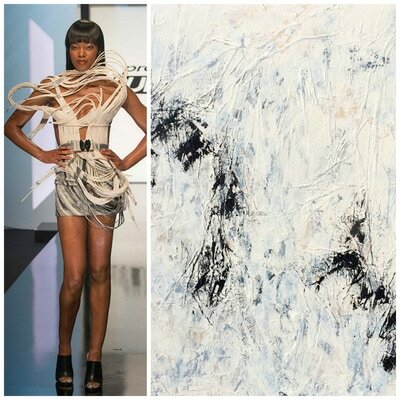 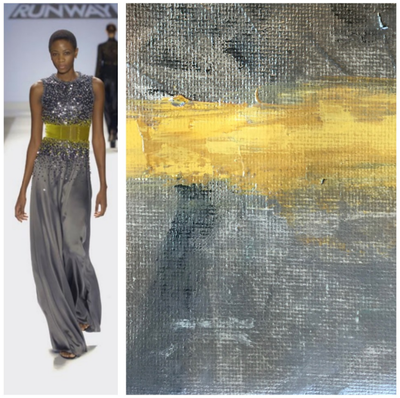 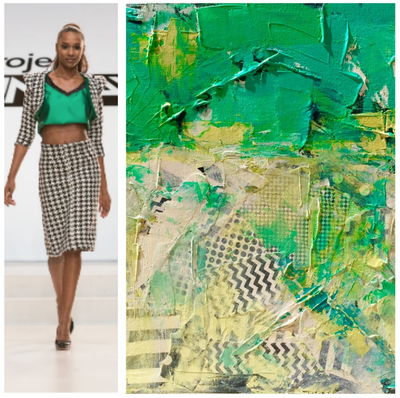 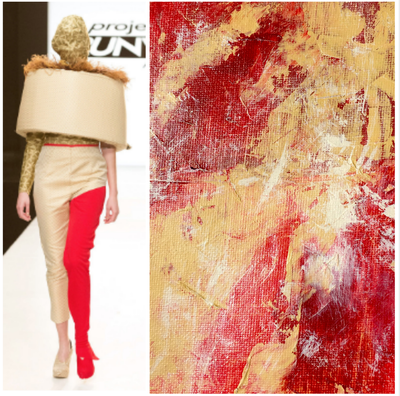 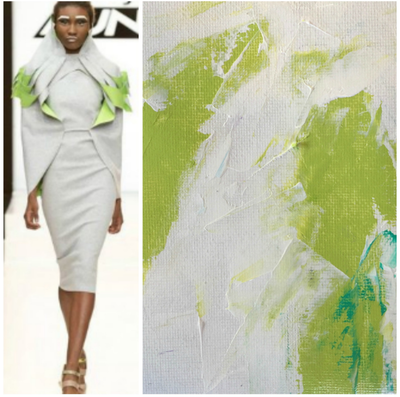 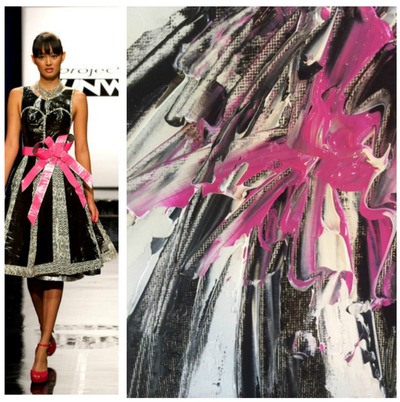 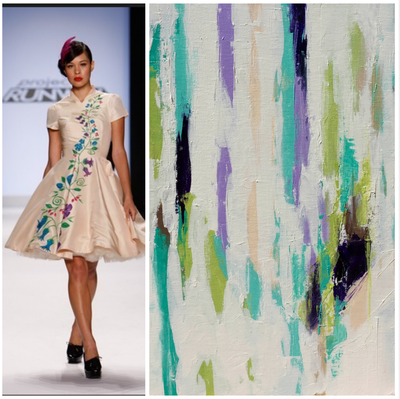 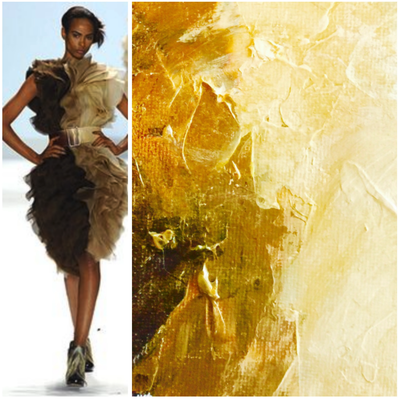 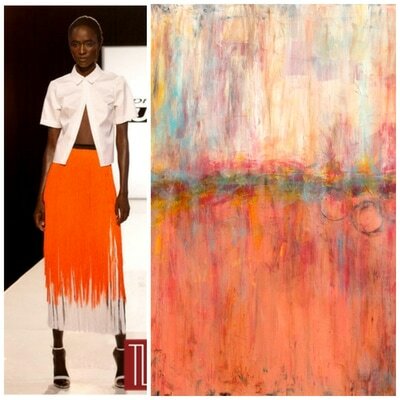 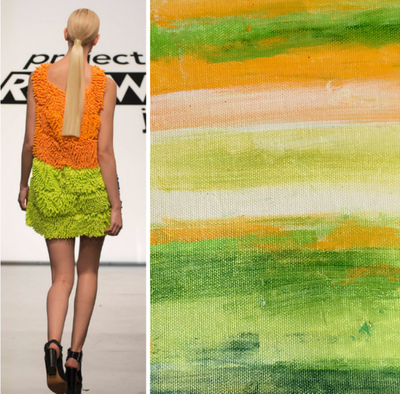 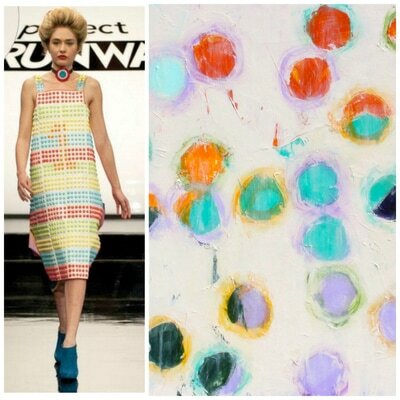 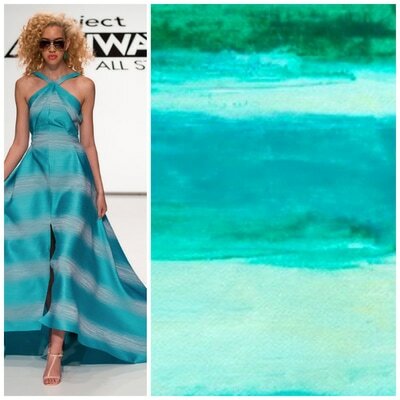 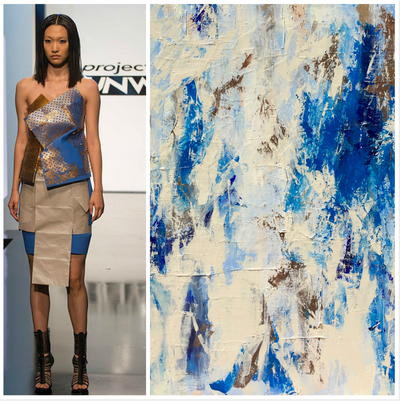 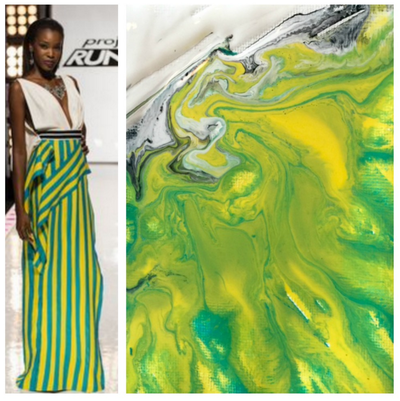 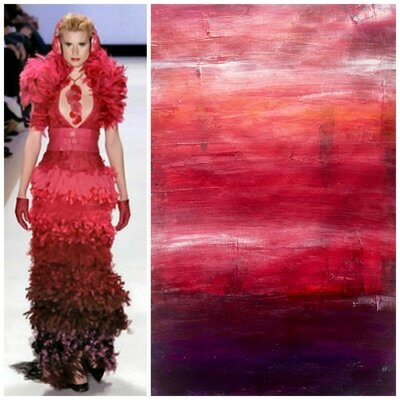 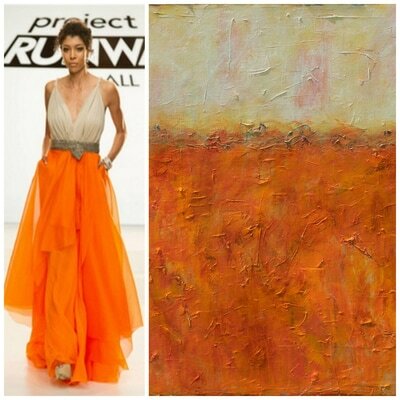 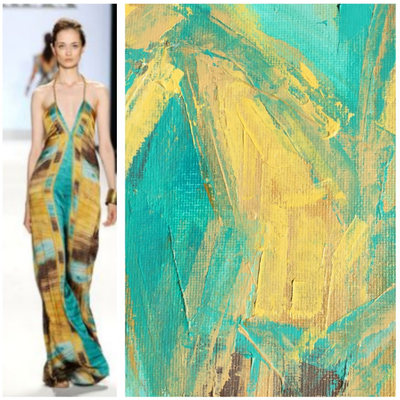 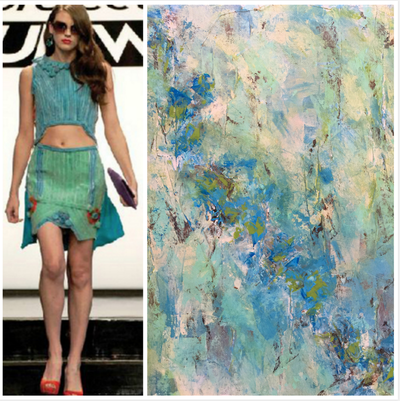 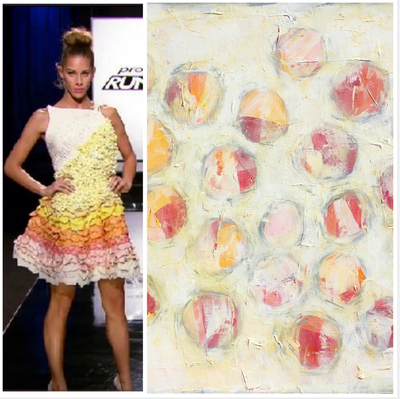 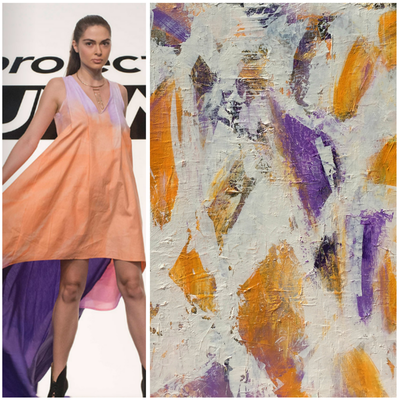 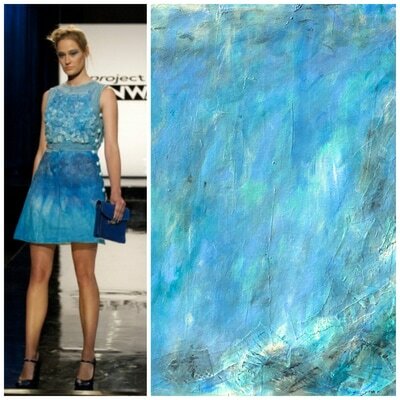 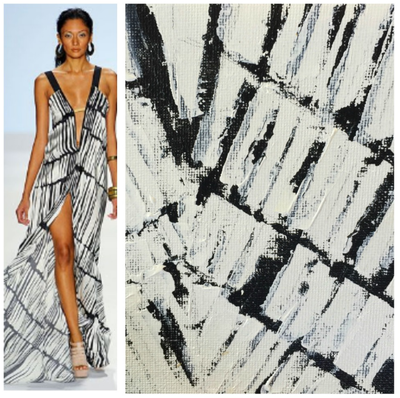 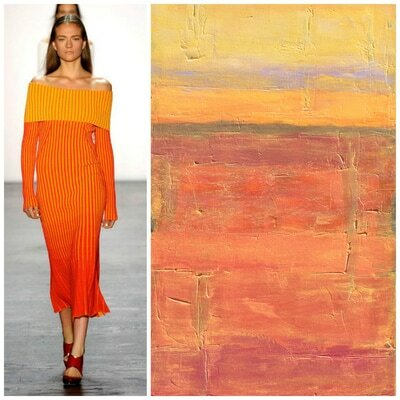 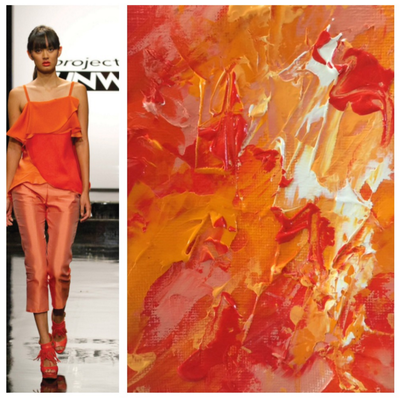 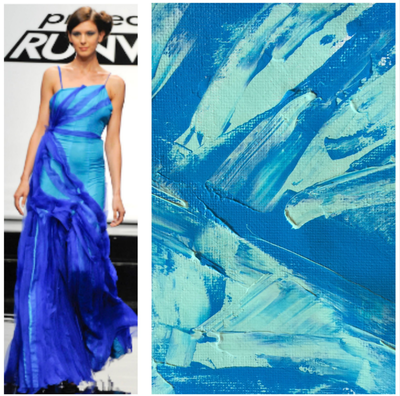 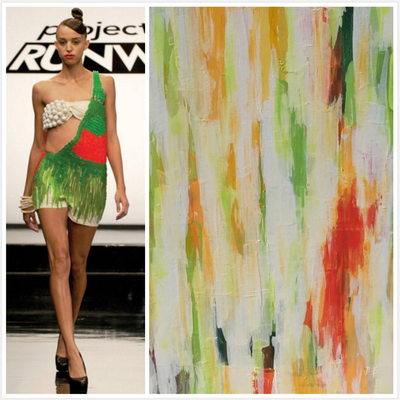 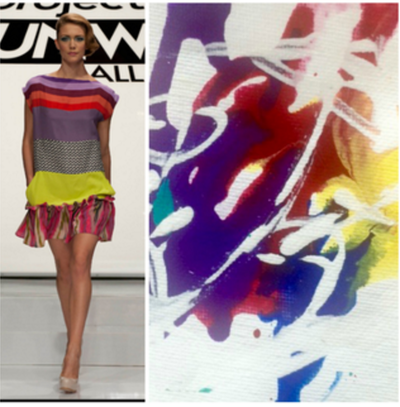 In September 2016 I chose to paint abstract paintings inspired from one of my favorite TV shows, Project Runway. 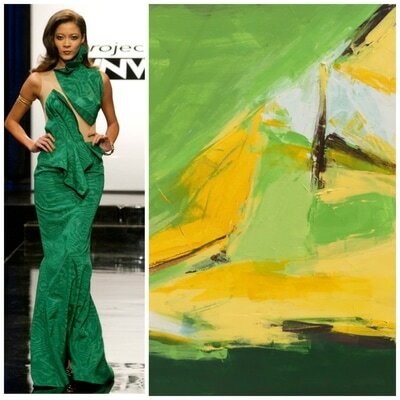 Since I have seen every episode multiple times, it wasn't hard to find designs to inspire my paintings. 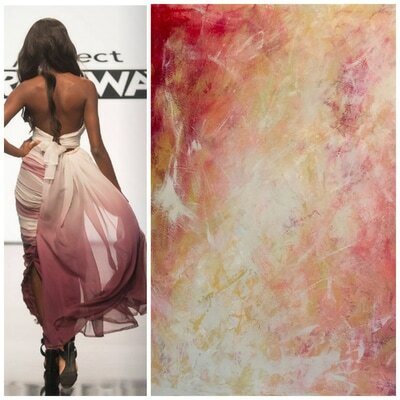 I hope you enjoy viewing my paintings as much as I did creating them. 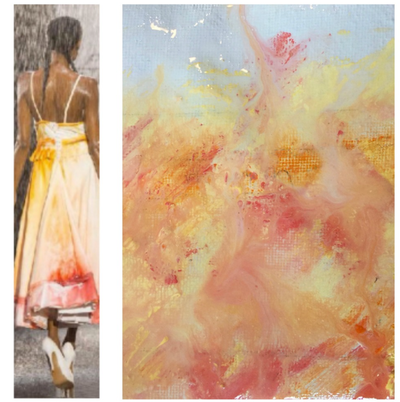 If you would like more information about any of these paintings just click the photo.